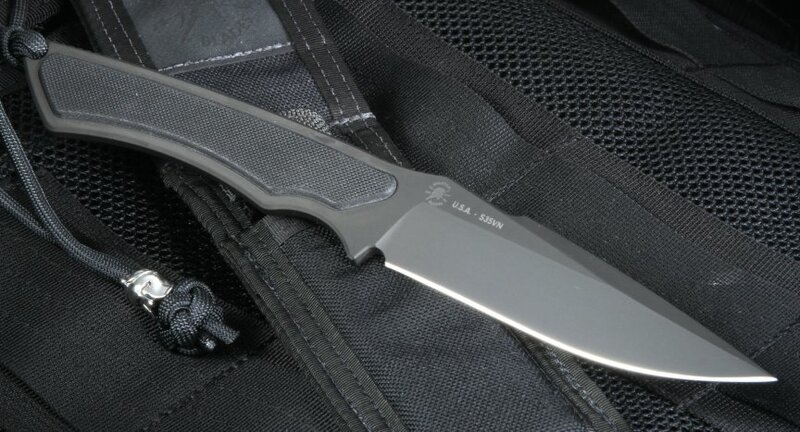 The Spartan Blades Phrike is a no-nonsense fixed blade knife with a midsized blade of 4". The Phrike was designed with the input of the U.S. Special Operations Forces and other government agencies and by Curtis Iovito and Mark Carey. 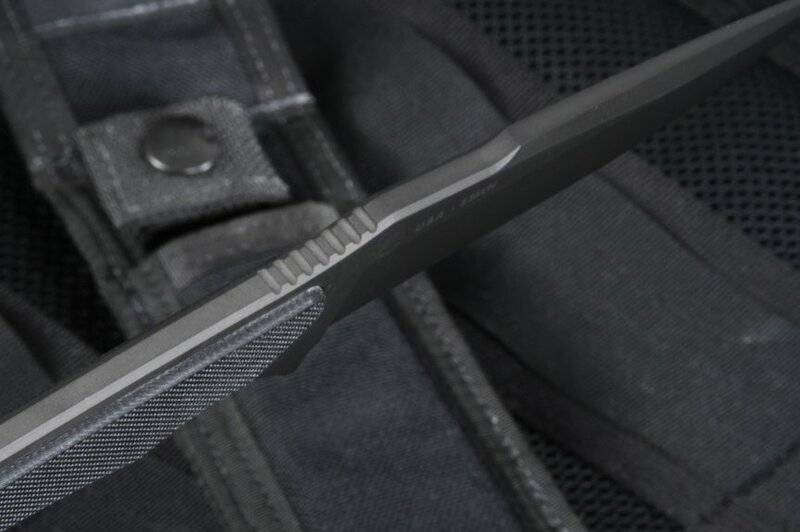 The Spartan fixed blade was designed for the modern warrior as both a self defense and utility knife. 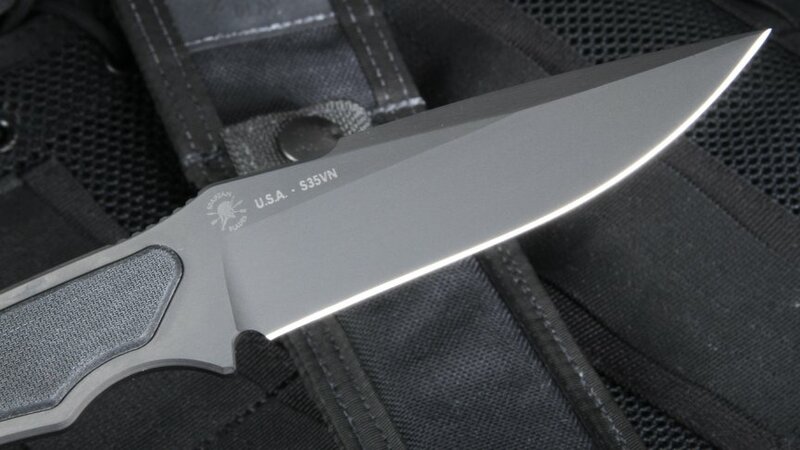 The knife has a blade of American-made S35VN Steel and has a durable tungsten DLC for a matte non-reflective finish. 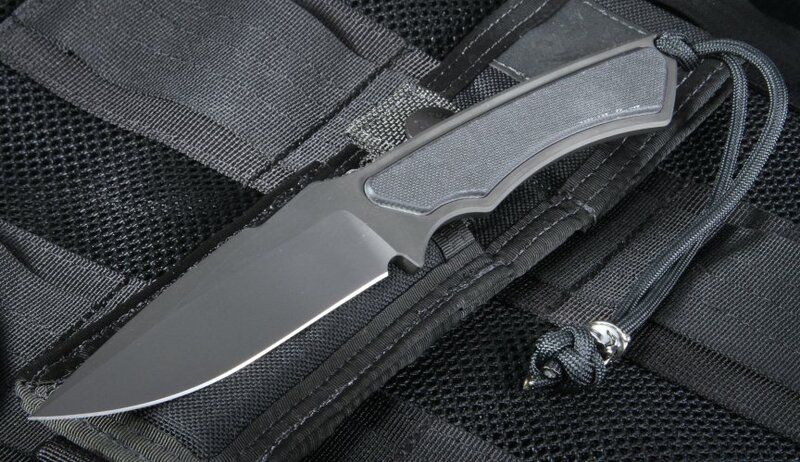 The Phrike design features a filed thumb ramp on the top of the blade for a secure grip. 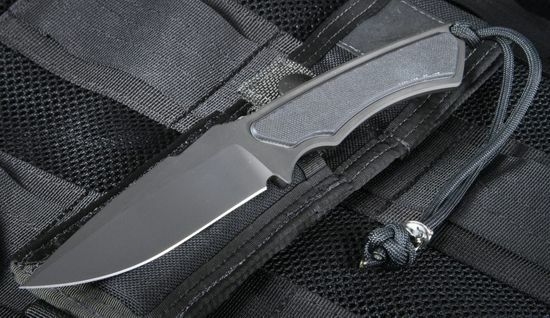 The handle on the Prike is durable textured G-10 with a matching black color. The design also features an exposed tang in the rear of the knife with a lanyard hole. The spear point fixed blade will come with a secure nylon sheath with a durable kydex lining; a create package for your field kit. The name of this knife, Phrike, is the goddess of horror / fear in Greek mythology. The knife package is completed with a tan nylon MOLLE sheath, lanyard with Spartan helmet bead (specially included with the Spartan Blades that KnifeArt.com sells) and a lifetime warranty. Satisfaction guaranteed with fast shipping and easy returns.